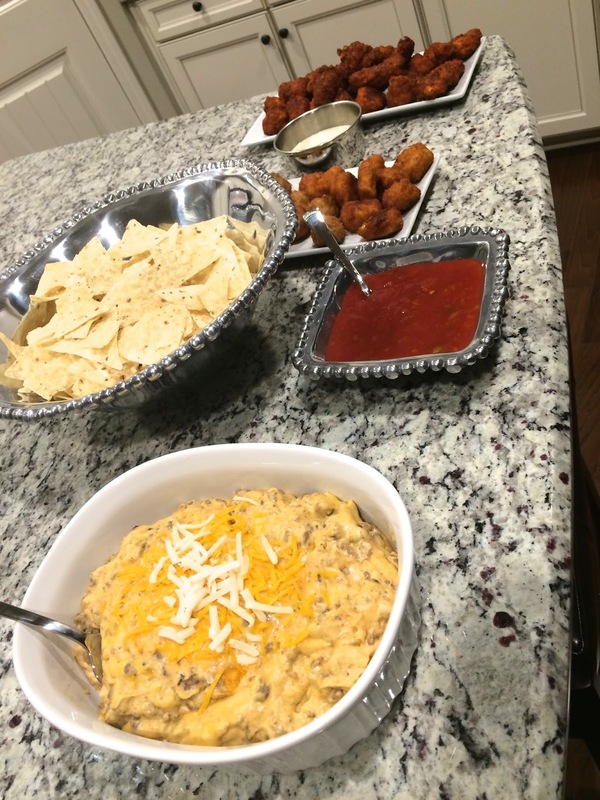 it's football time and this house is full of football stats and game day food, especially since my brother is here. tonight our favorite team was playing and i wanted to fix some game day food! 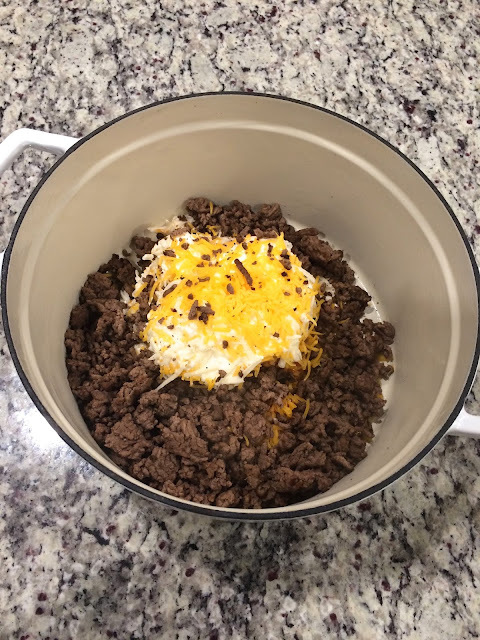 i tried this new and very easy cheeseburger dip and the guys loved it!! 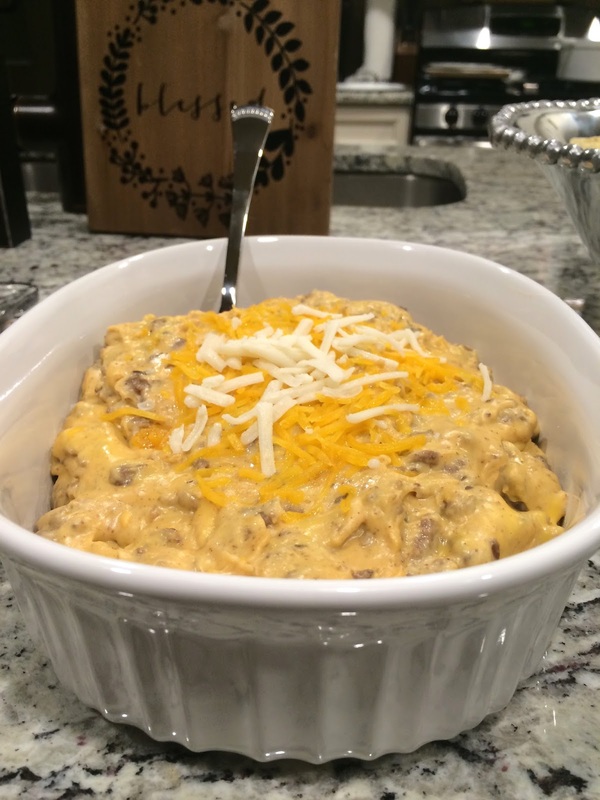 this is perfect for an appetizer at a gathering or for a football party! 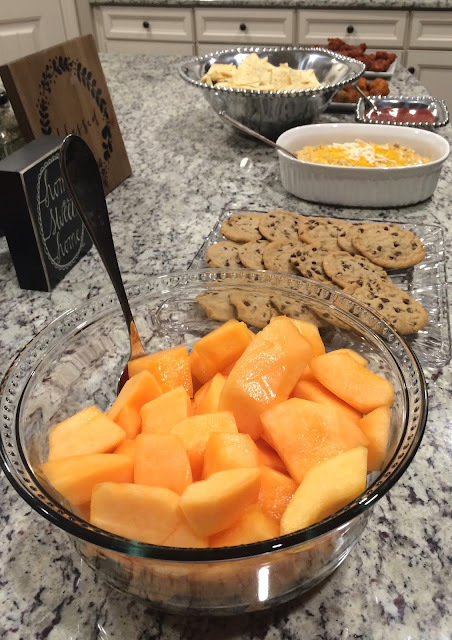 i also served boneless buffalo and barbecue wings, and cookies & fruit for dessert. 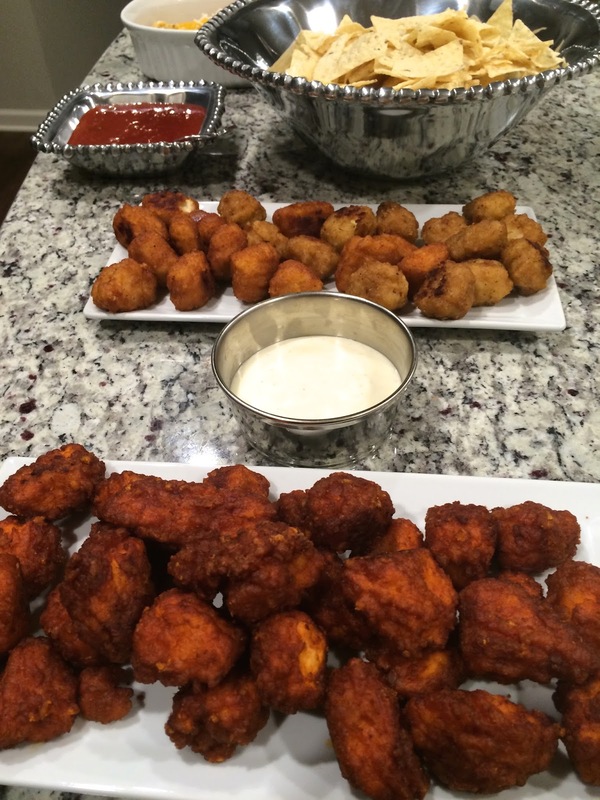 this will be a hit at your football or Super Bowl parties.